The newly renovated Westgate Inn offers comfortable, quality accommodations at a reasonable price. Centrally located on Saskatchewan Avenue (Trans-Canada Route 1A), the major route through Portage la Prairie. The Westgate Inn is located close to city centre and many popular area attractions, restaurants and shopping. Our convenient location provides easy access to all major routes in the city and the Trans-Canada Highway. Across the street from the Lion's Senior Centre and two blocks from Portage General Hospital. Whether on a business trip, family vacation or attending one of the many area attractions, The Westgate Inn has the right accommodation for your needs. Our 25 new rooms are designed with the traveler in mind. All our rooms feature free wireless internet, new 47" flat screen T.V.s with satellite HDTV, refrigerators, microwaves and complimentary in-room coffee and tea service. All Westgate Inn guests enjoy a complimentary continental breakfast and use of our Business Centre. Ice machine is available for guest convenience. Children under 18 stay free with parents. Book your stay today! 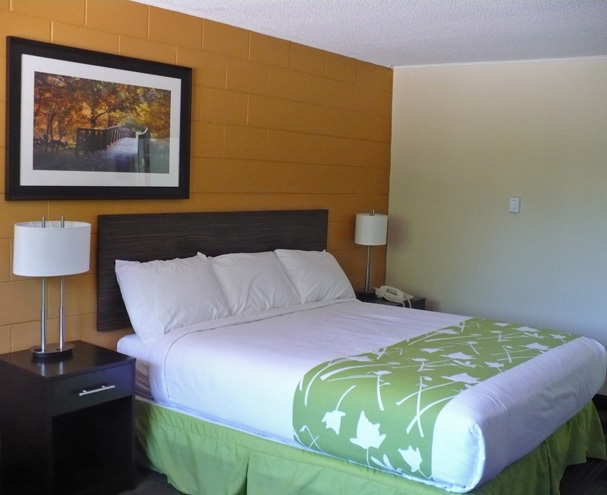 Relax in non smoking comfort in one of our King or 2 Queen guest rooms. 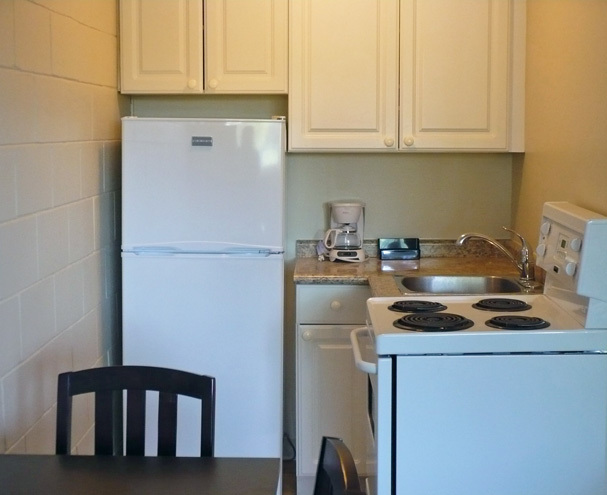 For an extended stay we also offer kitchenette suites. Pet Friendly rooms available (additional fee applicable). Extra room for a more spacious stay. All of our King Guest Rooms feature one king size bed and pull out loveseat. Features brand new 47" flat screen T.V.s with satellite HDTV. Each room includes the standard amenities such as refrigerator, microwave and complimentary in-room coffee and tea service. Enough room for the entire family. 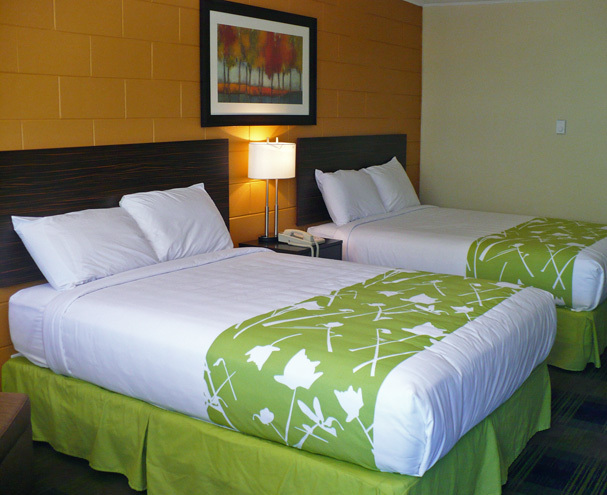 All of our 2 Queen Guest Rooms feature two queen size beds and feature brand new 47" flat screen T.V.s with satellite HDTV. Each room includes the standard amenities such as refrigerator, microwave and complimentary in-room coffee and tea service. All our Kitchenettes include all the amenities and features of our King and 2 Queen Guest Rooms and feature a fully equipped kitchen with full size refrigerator and stove.